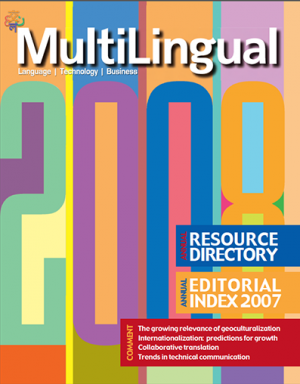 The Resource Directory is a comprehensive list of organizations that offer language products and services in 48 categories ranging from authoring tools to workflow solutions. 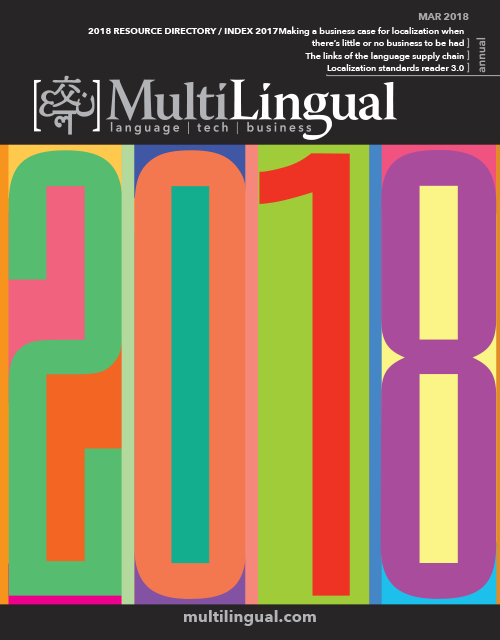 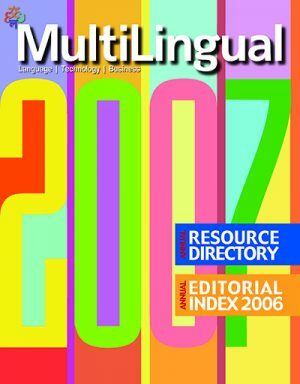 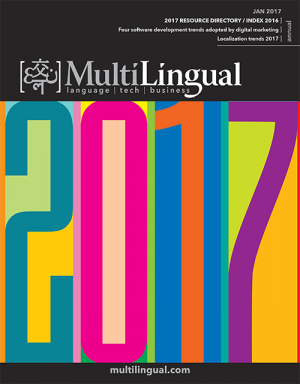 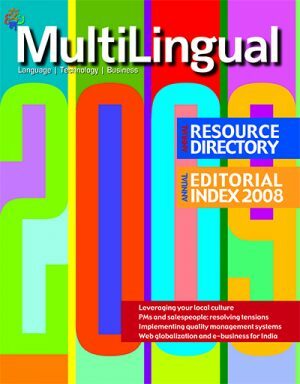 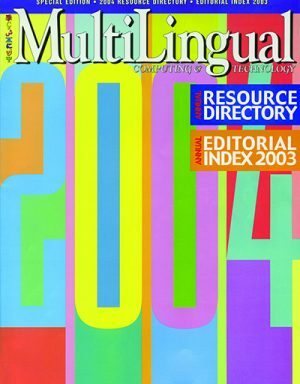 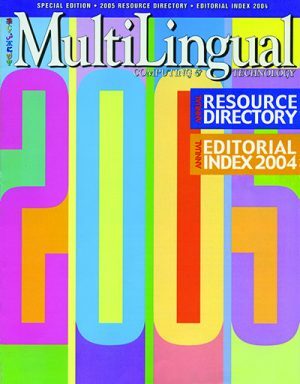 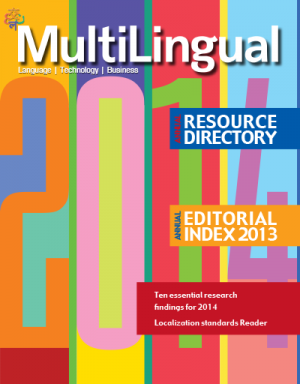 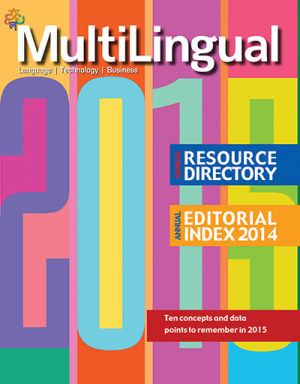 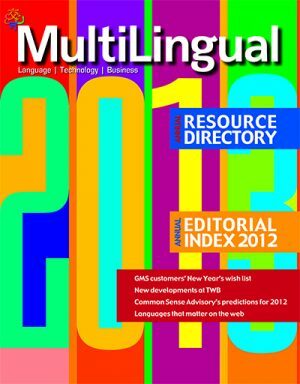 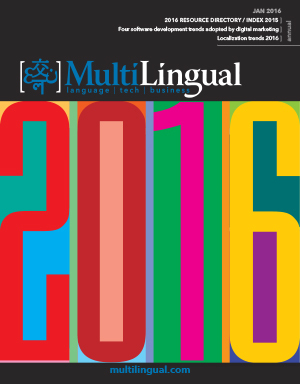 The Editorial Index is a complete, searchable index of the content from all previous year’s issues of MultiLingual. 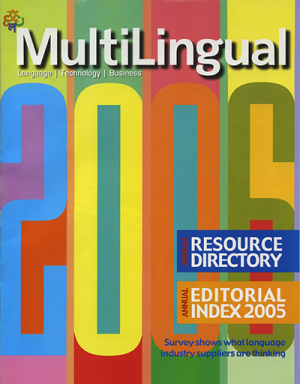 The Resource Directory was published up to 2018. 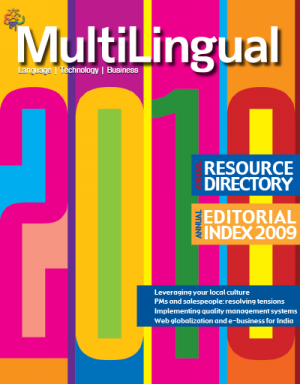 For a current list of vendors and organizations, visit multilingual.com/vendors-and-organizations. 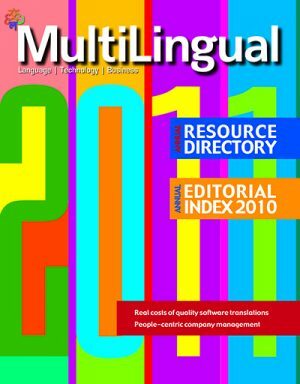 If your company is not listed and you would like to be included in the next edition, make sure that you are listed in the Vendors & Organizations section of our website and we will contact you when we start assembling the next Resource Directory. 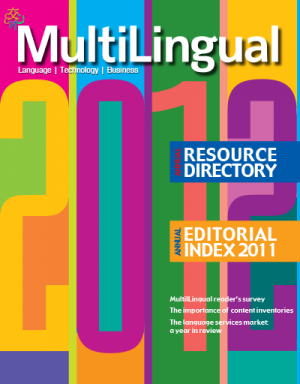 To download any previous years’ Resource Directory/Editorial Index, click on the desired edition(s) below.